The kids go to the bathroom and then I say…. did you wash your hands? They stare at me for a while considering whether or not they should lie. I threaten to smell their hands. They turn back around and head for the bathroom … to wash their hands. 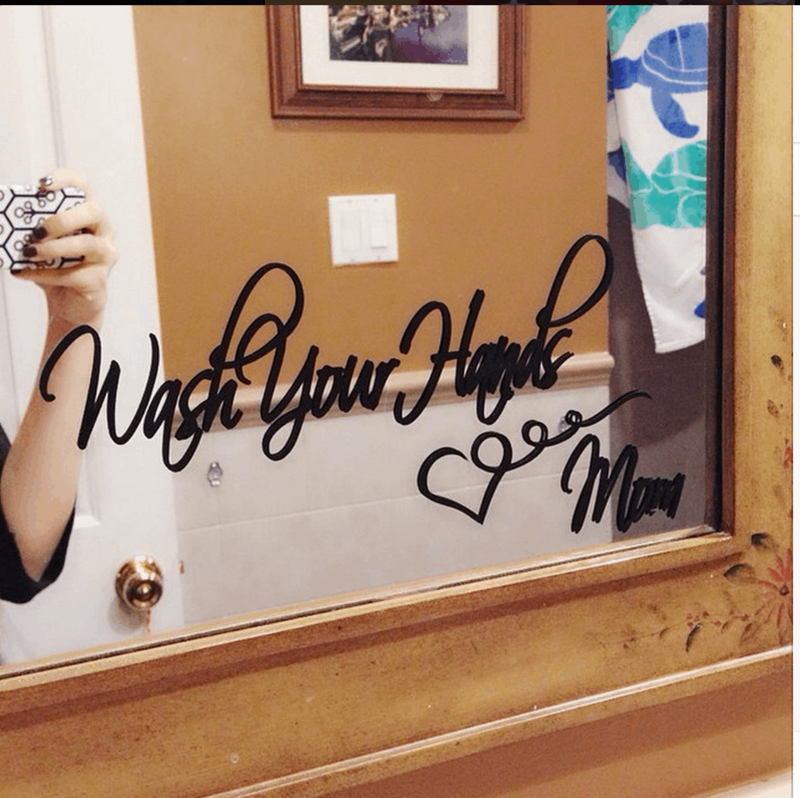 I was searching on Etsy and stumbled across this bathroom mirror sticker and thought WOWOWOOWOWOWOWOW – problem meet solution! I can get to them one more time before they actually LEAVE the room. The “Wash Your Hands. Love, Mom” decal was so easy to put on too. I did it myself in about 50 seconds. I have two mirrors in this bathroom and I bought two to even everything out. I absolutely love it. The kids think it’s fun too! The “Wash Your Hands. Love, Mom” decal retails for $9.99. What do you think?? ?